1. KGP was not existing for three years prior to sanctioning funds. 2. KGP has not developed any software prior to sanctioning of funds. 3. KGP is a certifying agency. A certifying agency itself can’t enter into development of competitive products which they are supposed to certify as it is most illogic like a referee, umpire or an examiner himself taking the competition by himself. KGP doesn’t have any expertise in developing software. KGP has developed Nudi in a clandestine manner. As KGP is the certifying agency, all the Kannada software developers have submitted their software. 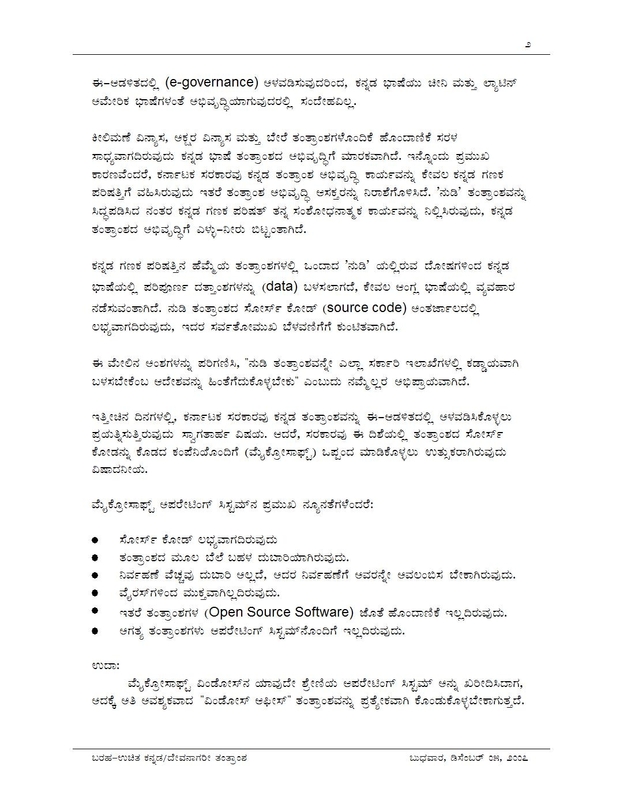 KGP gained inner details by means of demonstration and discussions etc with developers (please note that GoK has not disclosed any details on developing their Kannada software Nudi). 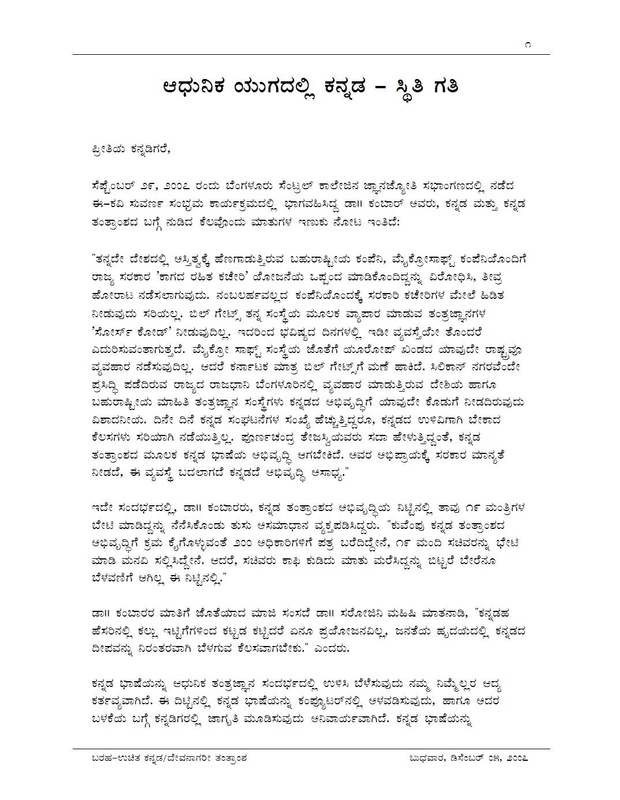 KGP pirated the fonts submitted to it by various Kannada software developers.